International Vulture Awareness Day, 7 September 2013. Angelov, I., Yotsova, T., Sarrouf, M. & McGrady, M. J. 2013. 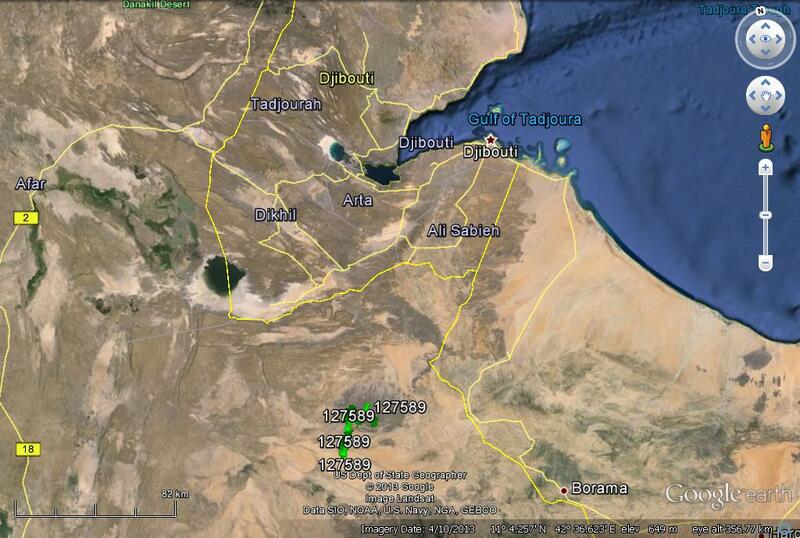 Large increase of the Egyptian Vulture Neophron percnopterus population on Masirah island, Oman. Sandgrouse 33: 140-152. Happy International Vulture Awareness Day! 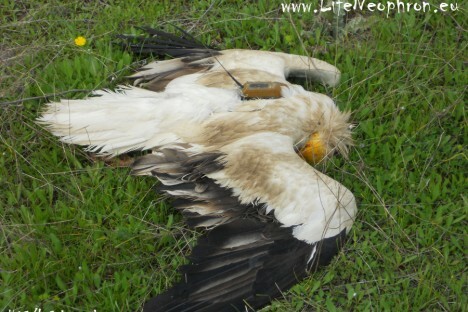 The Egyptian vulture we fitted with a satellite tag this past spring has been staying in Ethiopia during early July… near the town of Adigala. All the movements are within about 30 km of one another, and the pattern suggests to me that the abattoir or rubbish dump must be located just east of the town. Below is a map. 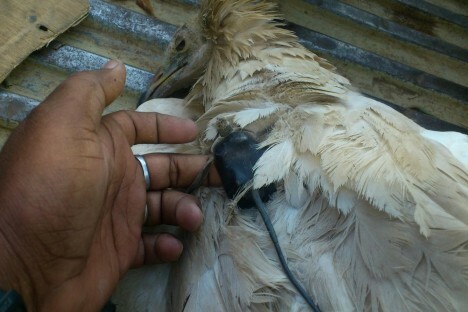 First the good news… Assamo, the Egyptian vulture we are tracking in Djibouti, is still on the move and doing some interesting things. Here is a map of his/her recent movements (Click on the map to enlarge it into a new window). About 2 weeks ago Assamo was moving around mostly just north of the Ethiopian border, though a foray into Ethiopia was made. On the 16th of April Assamo started heading north, spent about two days near Arta, then moved farther north into northern Djibouti. As of 18 April Assamo was about 30 km NE of where we caught her/him. 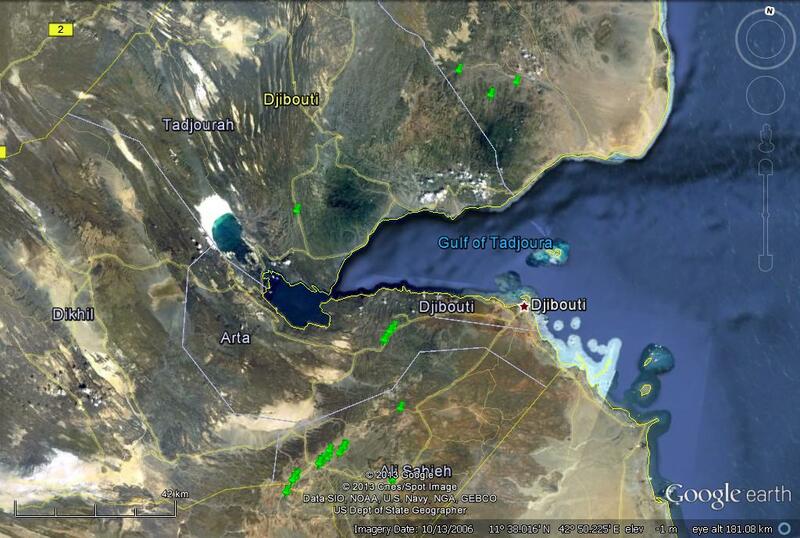 Visit the Djibouti vulture blog for more informationhttp://egyptianvulturedjibouti.blogspot.co.at/. I have also posted a link on that site to a Google Earth kml with which you can take a closer look at Assam’s movements earlier this month.